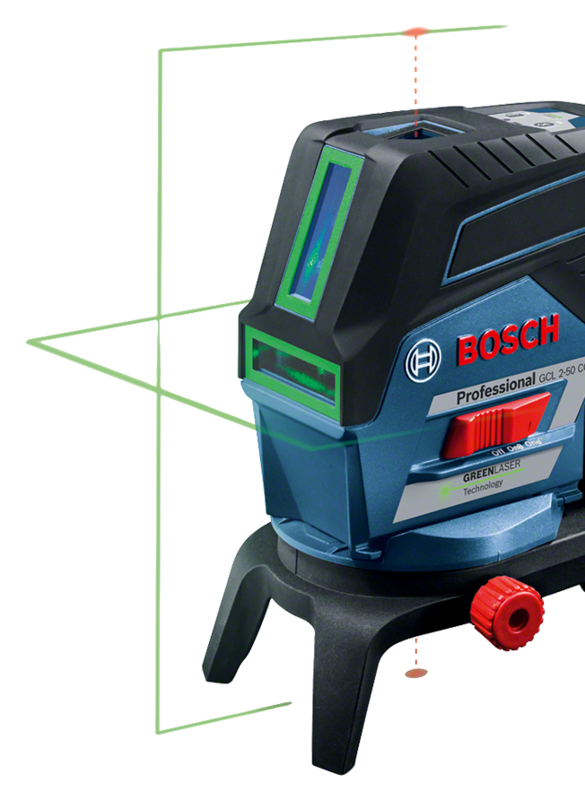 The combi laser GCL 2-50 CG Professional offers supreme visibility with a range of smart functions. 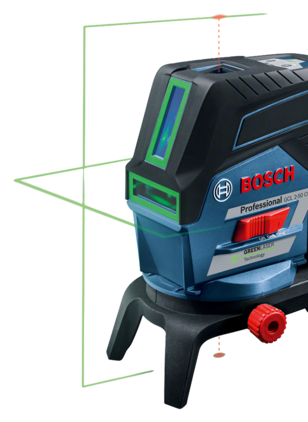 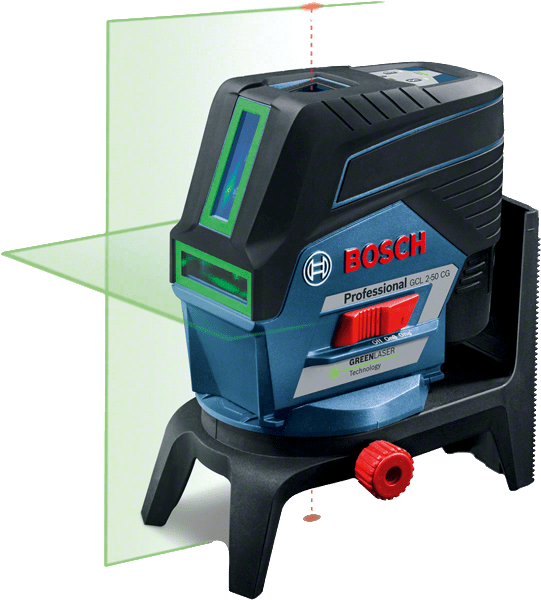 Bright green horizontal and vertical laser lines and two centred plumb points offer optimal visibility, while its Bluetooth®-connection offers remote-control adjustment via a smartphone app. 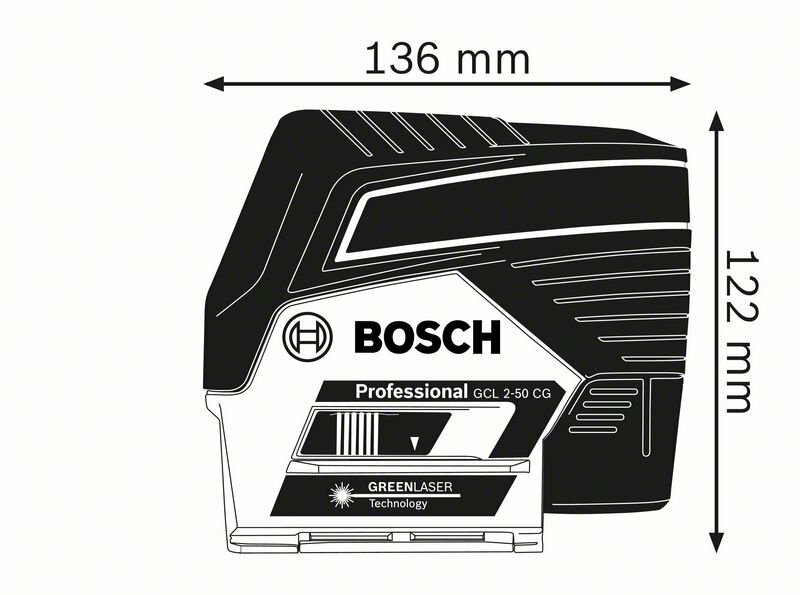 For increased flexibility, Dual Power Source allows 12 V Li-ion battery or standard alkaline batteries. 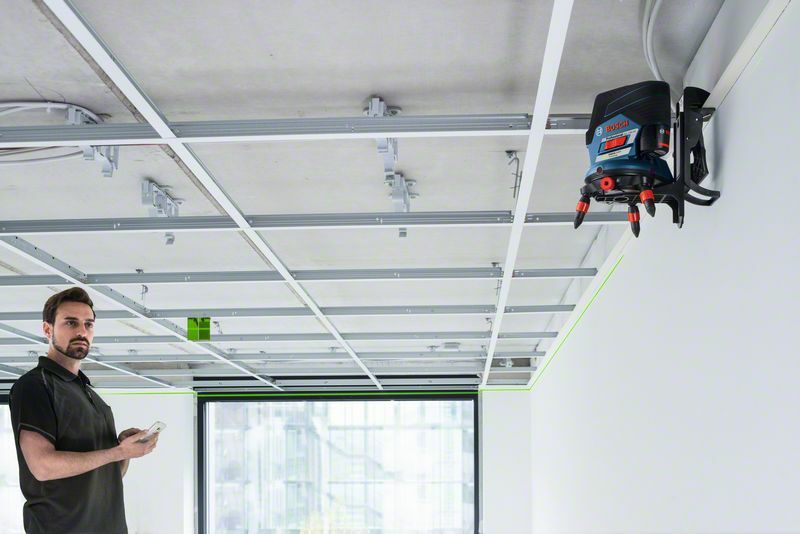 This combi laser is designed for horizontal and vertical alignments with a long overshoot of nearly 360° and is suitable for projects such as dry wall installation and interior finishing tasks. 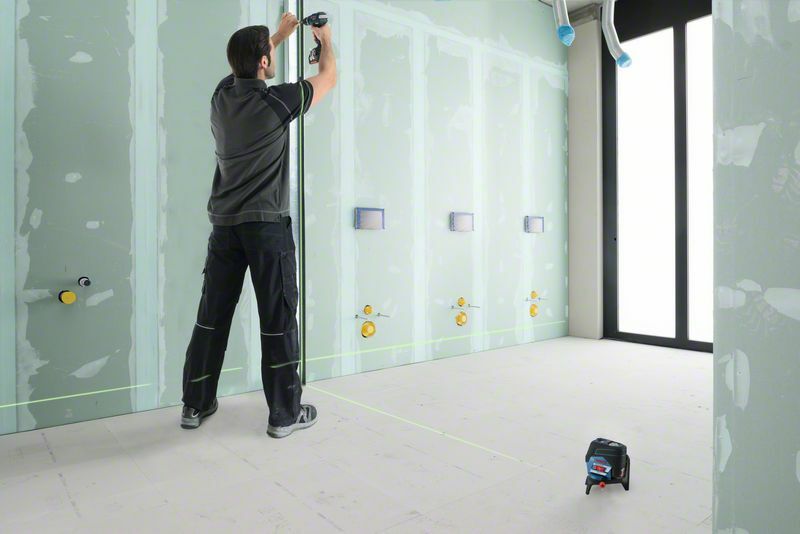 The GCL 2-50 CG Professional delivers high visibility of up to 20 m without a receiver and 50 m with a receiver. 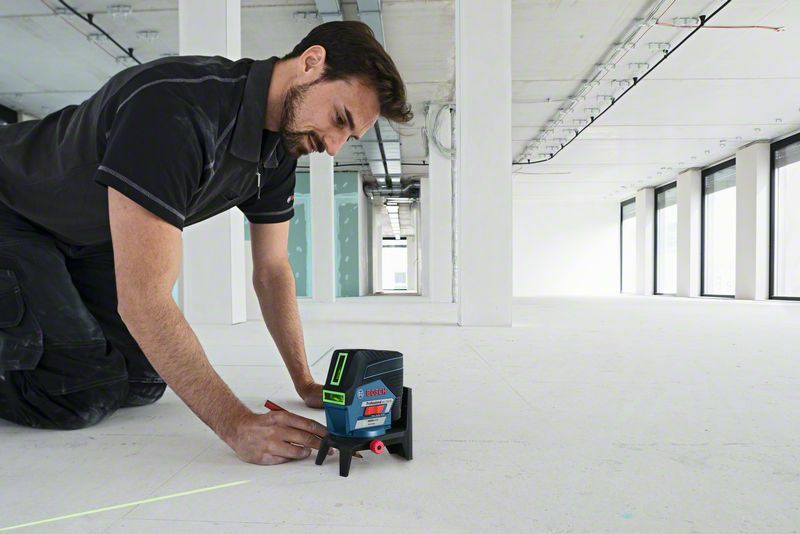 For precise positioning around the plumb points, the RM 3 Professional offers motorised control, and RM 2 Professional allows for manual adjustments.